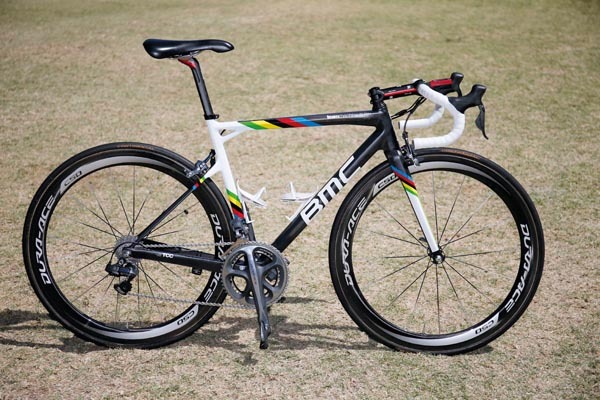 BMC had a mixture of TMR01 and SLR01 to hand, Philippe Gilbert choosing the SLR01 and opting to use his own saddle over the team-issue Fiziks. A year in the rainbow stripes means the world champion’s bikes are always going to create a stir no matter what they are. Having your bike wrapped in the iconic bands has got to be worth at least 50 extra watts, right?